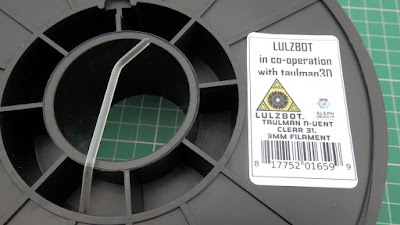 LulzBot are without doubt (in my opinion) the most open-Source 3D Printing company in the world. Here is the start of my journey with the TAZ 6 3D Printer. 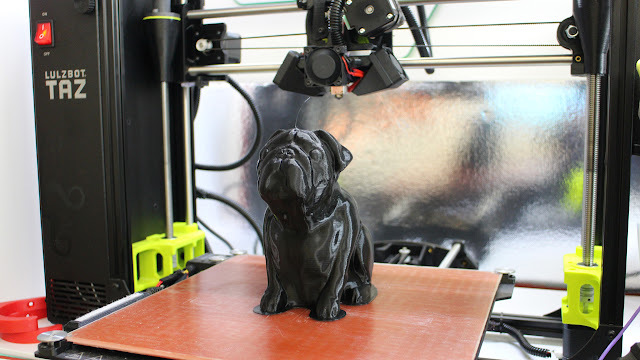 I could spend an entire blog post just telling you how LulzBot have open-source in every single aspect of their business. 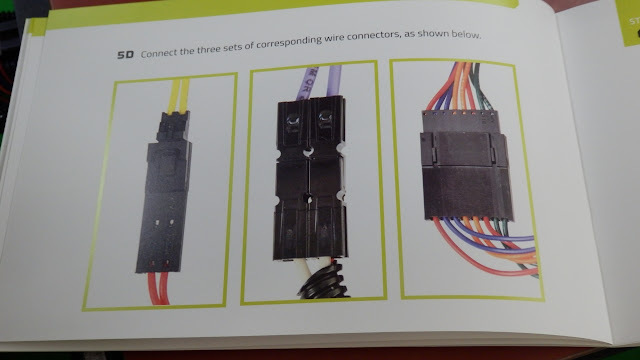 Not just the 3D printers they design, develop, support and manufacture, but all the systems they use, computers running them and well just everything. If someone told me they only drank open-source coffee? I would not be surprised in the slightest. To the point they will contact independent developers (anywhere in the world) and help them finish, refine and improve a little-known open-source software package, because they would like to use it in their business too. LulzBot (and the Parent company Aleph Objects inc.) support many independent projects and diverse developments, they don't always shout about it, they just get involved and encourage. If I lived in the USA I would be camping out at LulzBot HQ. 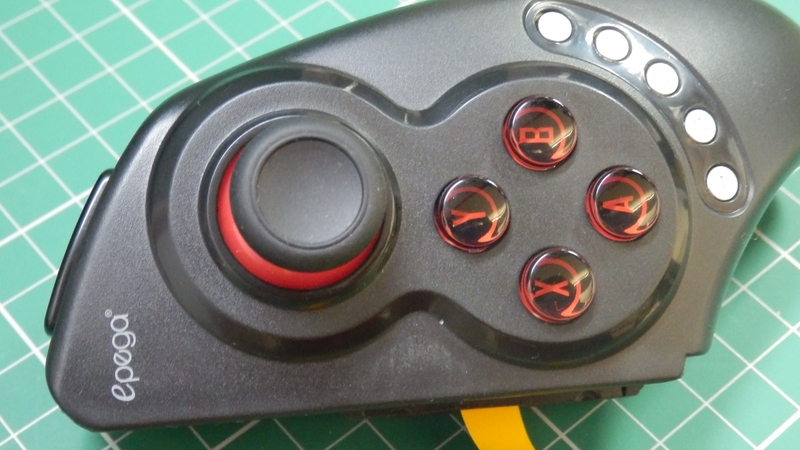 We need to see more of these manufacturers in an amazing community like 3D Printing. I hope LulzBot always manage to stay that way. Anyway, enough of that. You can see I have a lot of time for the LulzBot team, their products and everything they stand for. My admiration of LulzBot is not going to stop me from a detailed (and sometimes critical) look at their 3D Printers, software and generally the user experience with all of it. 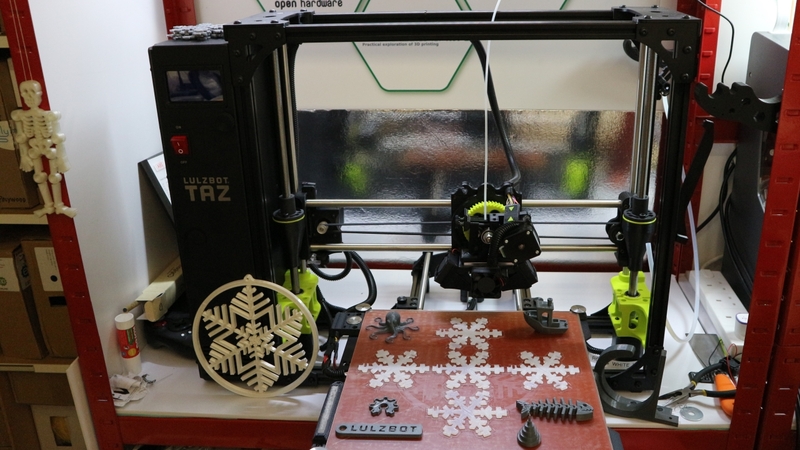 They thrive on all feedback and it's one of the fundamental aspects of open-innovation, so here we go with a first look at the LulzBot TAZ 6 3D Printer. I'm not going to attempt to 'sell you' on this 3D printer. 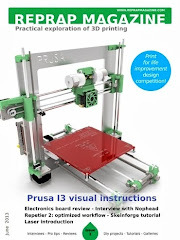 It's been out for a while and has already won awards on 3D Hubs and has a good reputation in the 3D printing community. You can make your own mind up about the machine. See if it's right for you and at the price point and feature list you need. I'm not even going to go into detailed specifications about print size or capacity, you can google that or just look on the LulzBot website. I'm going to focus on the experience and how reliable it is over a long period of use and abuse in the real-world and how it handles lots of different materials. I hope to be able to show you what it can and can't do over this and more blog posts and video's. If you have any questions or want me to try something specific, just send me a message (twitter is best, but anything usually works - apart from carrier pigeon). 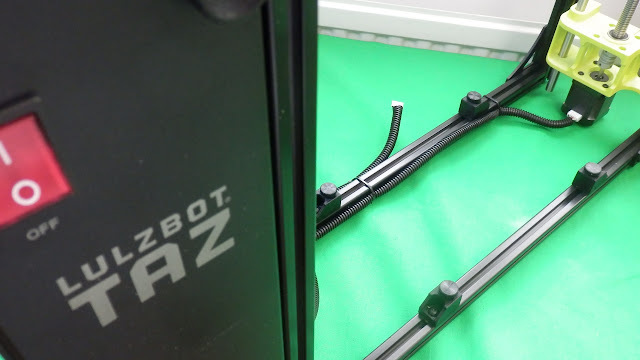 If you watch the first video below (it's long, but I make no apology for that) you will see that you get a really good first experience with unboxing, assembly and setup of the TAZ 6. I hardly ever do 'unboxing' video's, but this machine just deserved a showcase. I have always been a huge fan of the LulzBot 3D printers, I printed out and built up one of the very early prototype TK-0 machines back in 2013 (an early version of the TAZ design) I made many modifications and eventually dedicated my variant as a portable machine to use at shows and events. 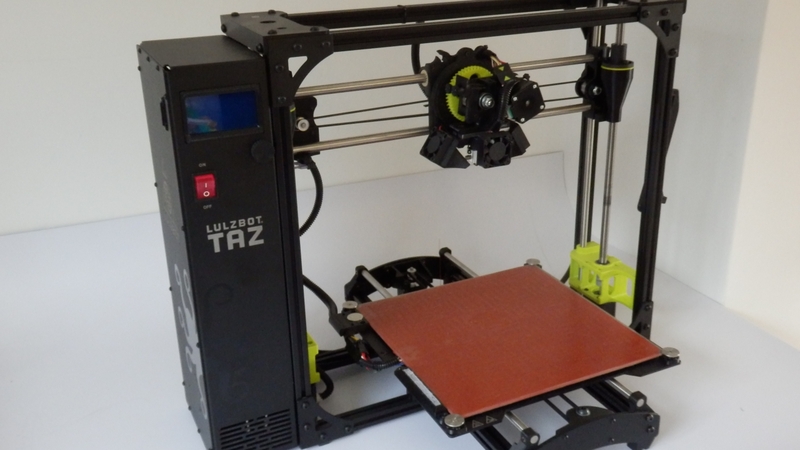 During discussions after the TCT Show in 2016, the team from LulzBot kindly offered to send me a TAZ 6. This is not only great, but as it's a machine that is not normally seen in the UK / Europe I really want to help support the growth and awareness of LulzBot products (and their open-source / Open-Innovation nature). 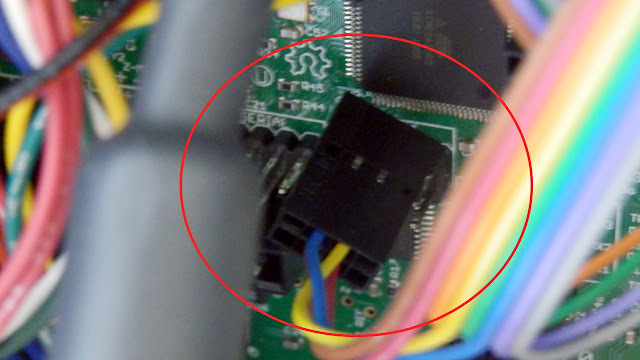 I did have some initial setup problems, I will go into detail in Part 2 of this blog post and video series. A pesky dislodged connector caused me some initial setup problems, but it was quickly identified and resolved. 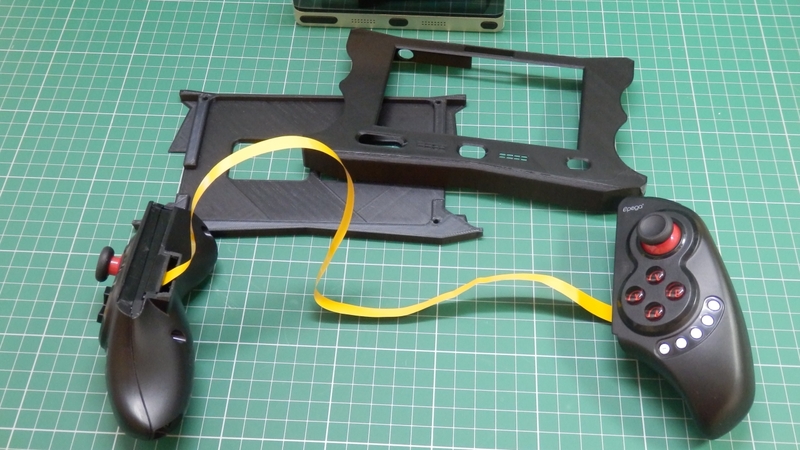 Much more about the problems, issues and resolutions in the next video / blog post - along with lots of 3D Prints and feedback about both print quality and user experience. 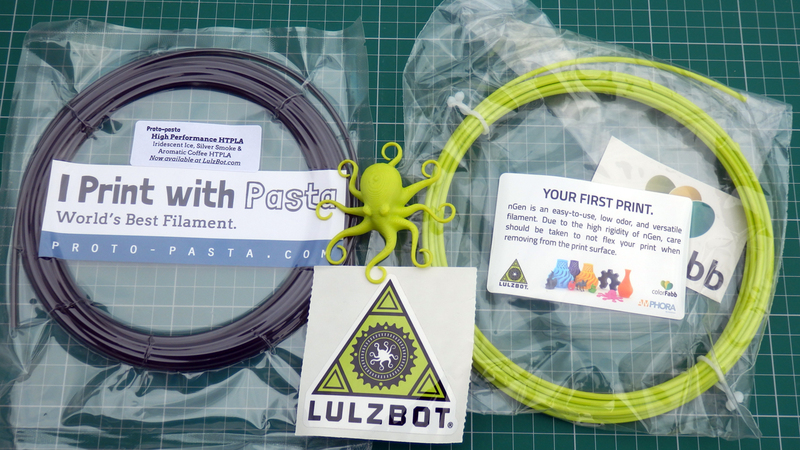 LulzBot also sent me over some materials that are tricky to find over in the UK or Europe. These have been really great to try out and do work exceptionally well in this 3D printer. 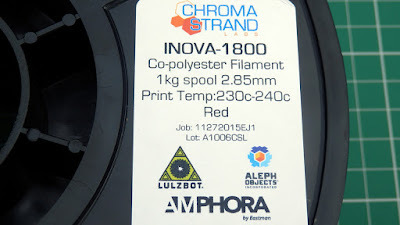 Chroma Strand Labs Inova-1800 Co-Polyester. 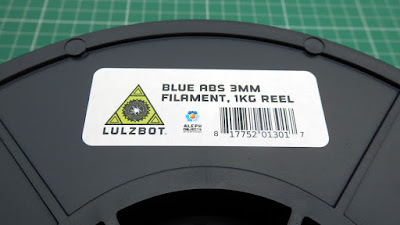 LulzBot also included some sample filament in the TAZ 6 Box. 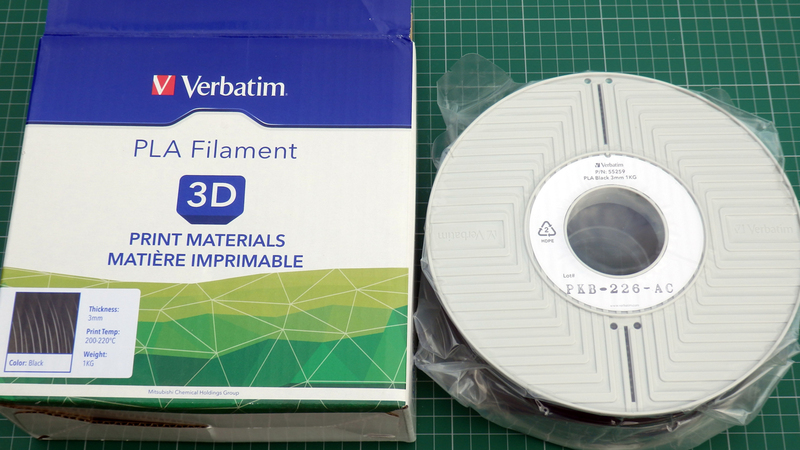 This is what you would get if you just ordered the printer - Very nice filament from Proto-pasta and Colorfabb. Initial assembly is very straightforward, a detailed manual guides you through all the steps and provides great advice along the way. Every single part (including the full set of tools provided) feels high quality and 'engineered' to a fine level. I talk a lot about the approvals and regulations for this 3D printer in the video (it's a very good thing). I'm not going to repeat myself here, but do watch the part about 3D printer approvals (12:30 onwards) as it's good to know why fully assembled, well designed and tested machines are worth the extra cost etc. Noise level is acceptable during setup and also full operation. It's around the same overall noise level as a Prusa i3 MK2 (normal setting) the Prusa quiet setting is slightly lower. The TAZ6 has a lower frequency to it's noise level output (slightly bigger fans than many 3D printers) so feels less annoying and less distracting in the background. 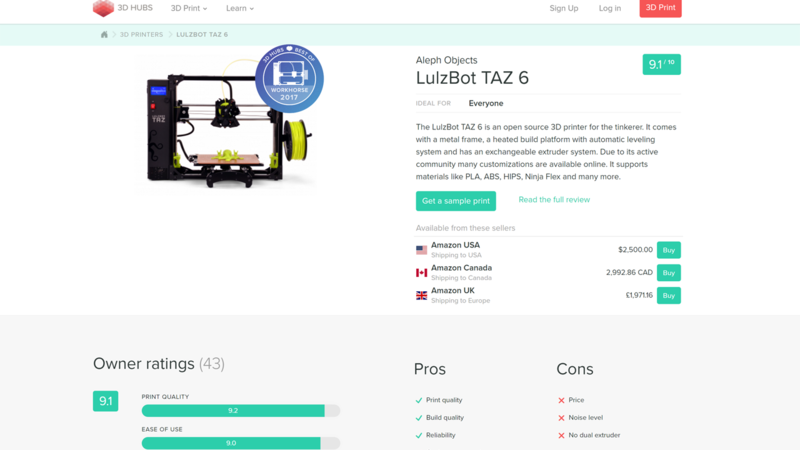 The TAZ 6 is a lower overall noise level than the BCN3D Sigma (2016 version). I have no problem with the TAZ 6 running in the same small room when I'm 1.5M away from it. 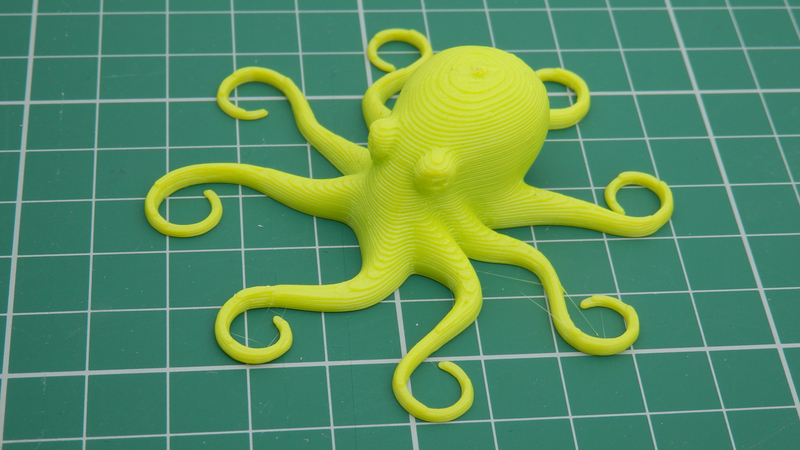 A test print Octopus (Above) was included, I had no problems replicating and exceeding this print quality with the Taz 6. We did plenty of 'play printing' over Christmas, lots of the standard objects, test prints and plenty of decorations. When it was all dialled in I started to explore what the TAZ 6 could really achieve. 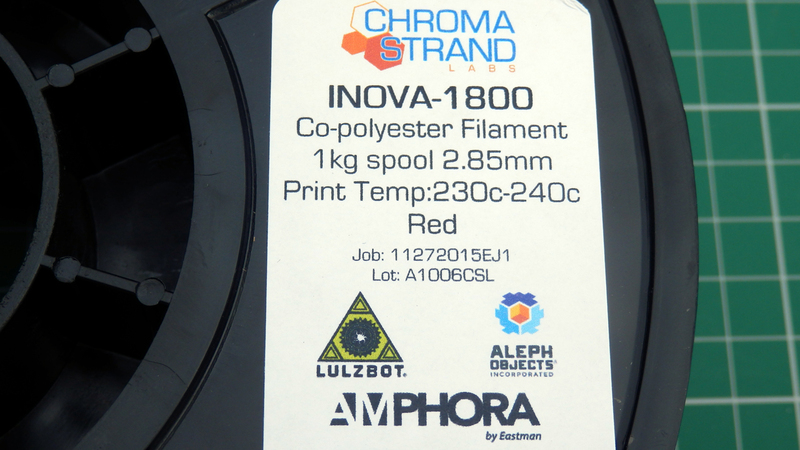 The Red Chroma Strand Labs filament was really nice to use, and strong. I designed and printed some hooks for hanging objects to rafters, they were clean prints (just look at those perfect layers) and very strong indeed. 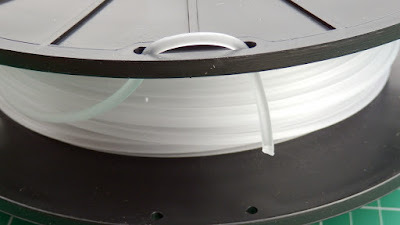 I'll see if I can work out a way to break these and compare the results with PLA or ABS for the next blog post. 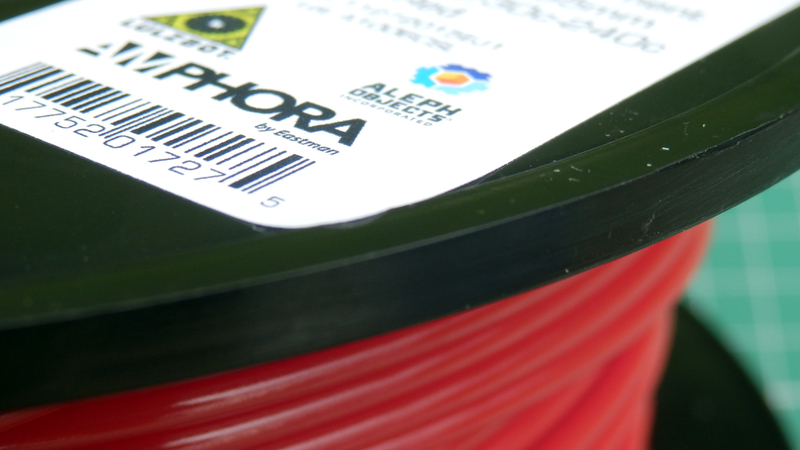 It was not long before 17+ hour prints were being tested and then multi-day objects in ultra fine and full build area dimensions. (more on that next time). As default it is set to print quite slowly. 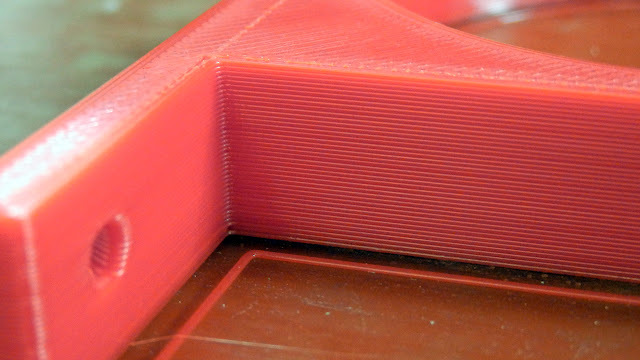 The default profiles for Cura have a low speed of travel rate, it can handle a lot faster. The firmware (Marlin) acceleration feels slower than my normal settings. 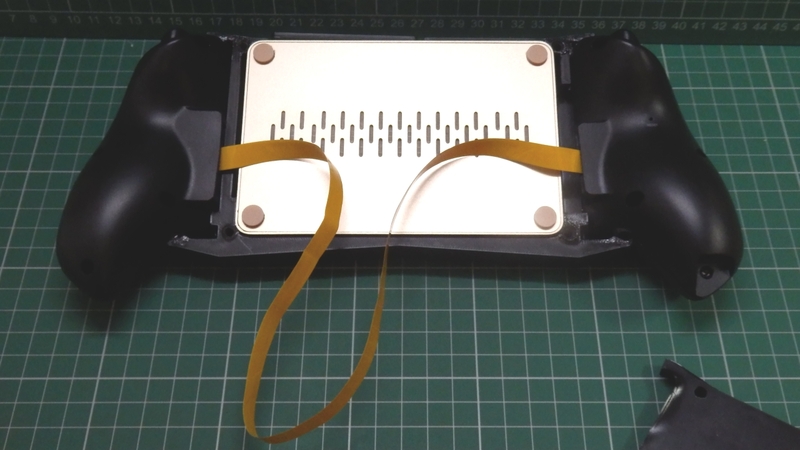 There is nothing wrong with going a little slower and having a lower acceleration, in fact it can improve both print quality and further reduce noise level. 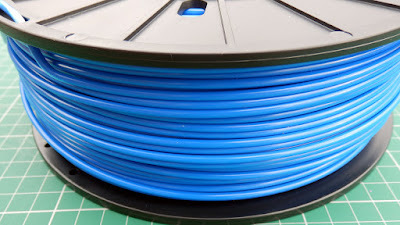 The issue is more with the fact this printer can print BIG, so really you are going to need a compromise of both speed and quality for some bigger prints if you want them to finish in a working day or before going to bed. That's no different to many 3D printers, so this issue is not aimed at the TAZ, just an observation with bigger build areas in general. LulzBot have installed a 0.5mm nozzle as standard. This provides a a good mix of speed v quality in many types of printed model. 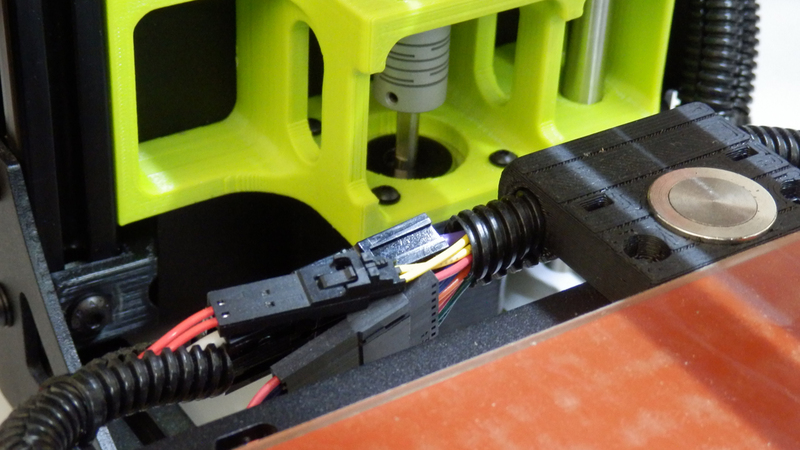 The original RepRap 'standard nozzle size' was 0.5mm, but over the last five+ years it's now much more common to see a 0.4mm being fitted to almost all 3D printers. You could replace the nozzle, but if anything I may decide to go even bigger, this machine is just crying out for a great big nozzle to produce some serious 3D prints fast and accurately. And on that point I had hoped to be testing out the now MOARstruder, but sadly it was not quite available when I asked about it. (see below). 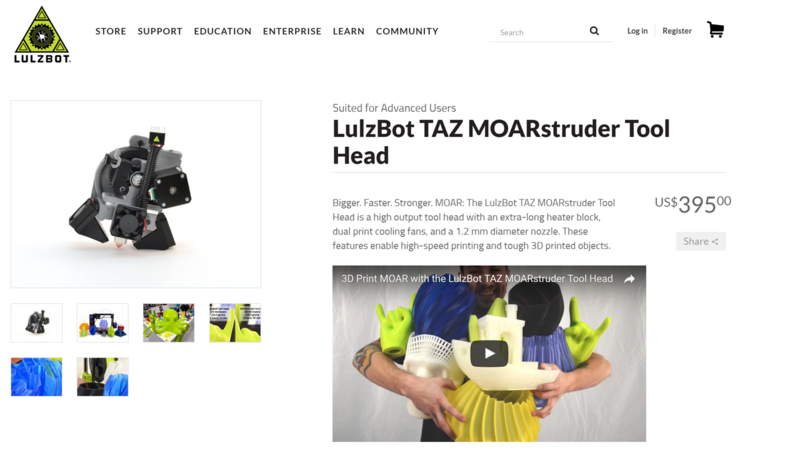 MOARstruder is now fully available for the TAZ5 and TAZ6 directly from LulzBot on the website, you can check it out here. After a lot more printing and testing with the TAZ6 Hexagon hot-end, I'm probably going to make a new extruder for the TAZ6 using the E3D Volcano. 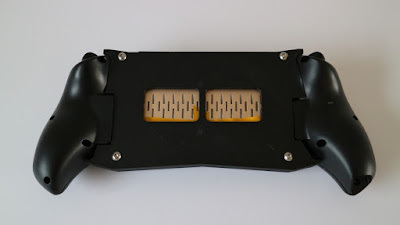 The Volcano is very similar to the new MOARstruder, in fact the nozzles are interchangeable for the Volcano ones, so you can fit hardened, stainless, brass or copper types. 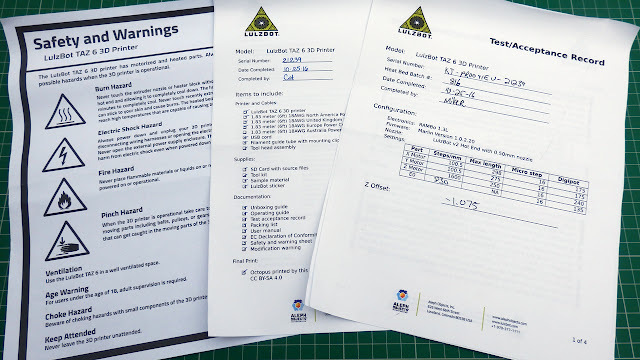 In the next LulzBot TAZ 6 blog post (and video) will go into a lot more detail about the print quality, settings and use of both Cura and other slicing engines on the TAZ 6. The TAZ6 did a lot of printing towards the end of 2016 and over Christmas. I now feel I understand many of the limits and balance between quality and settings for this 3D Printer. I significantly tweaked the profiles and then also stopped using Cura. It's producing solid and consistent results and has handled all materials I have thrown at it. 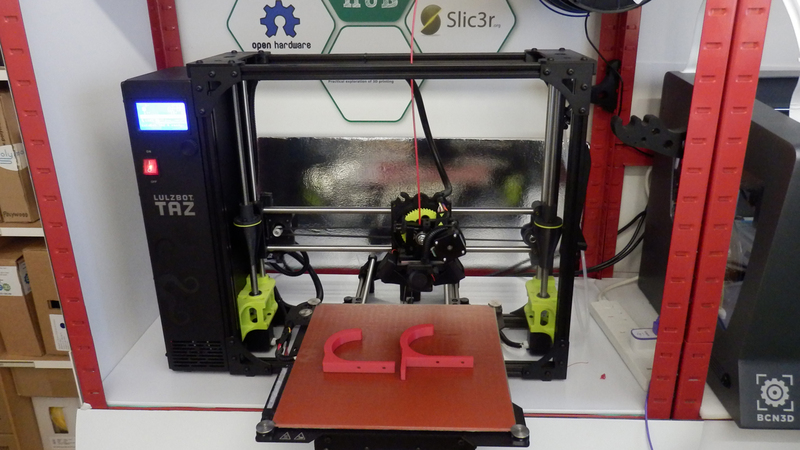 This 3D Printer is a very well engineered (slightly over-engineered, but in all good ways). It feels solid and always in control, the bed-level system is low-tech, but reliable and more importantly it works really well. I'm totally enjoying the 3D printing experience with the TAZ 6. Plenty of things I would (and will) change, but for an out-of-the-box experience, it's delightful from delivery to first print (apart from the issue I had, but more on that next time). 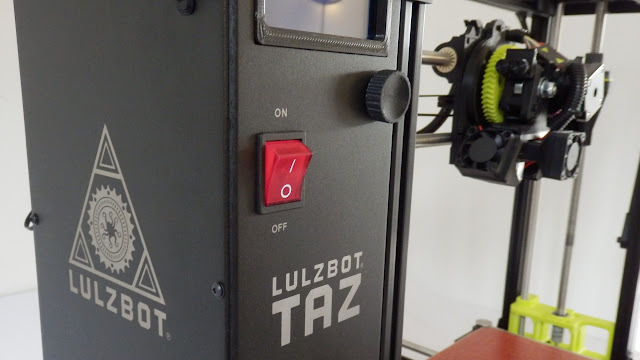 I have a lot more feedback for anyone considering this 3D printer, so join me text time for a closer look at the prints, profiles and capability of the LulzBot TAZ 6. 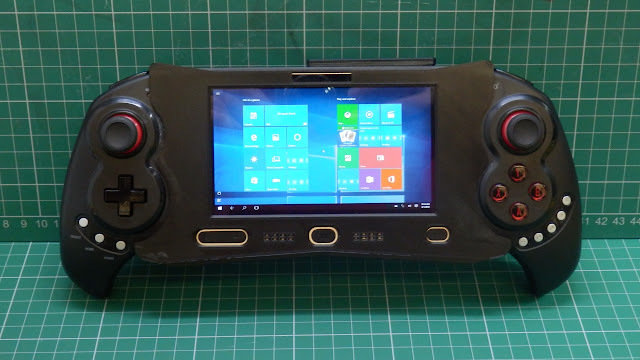 I almost forgot, in the video I talk about a Handheld Retro Gaming PC system I made up (Windows 10 to emulate older games and the like) - it was a simple and fun 3D printing project (anyone could do), I'm happy to go into a lot more detail, let me know if anyone would find this sort of project interesting. 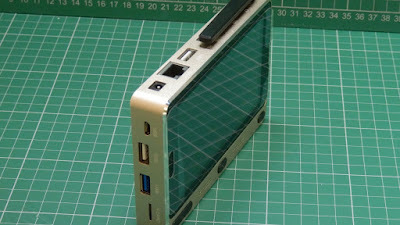 I do a lot of projects using 3D printing and often electronics / Arduino etc. - Not really sure if I should post more of these here or not? Not printed on the TAZ 6, but I found it and talked about this project in the TAZ 6 video above, let me know if you want to see more projects (and maybe a design / assembly guide?) on these sort of things. This was just a brief introduction to the TAZ 6 experience. Lots more next time, I hope you enjoyed it.